Hammond B-3 Organ trio with slide guitar. Soulful funk grooves, down-home blues and Bayou jams. 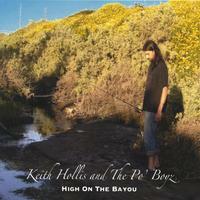 Keith Hollis and the Po' Boyz are available for touring in the Northeast as well as the west coast. Keith Hollis always plays a real Hammond Organ on tour. Always a fan of Keith's playing...Sounds fantastic!